Bobby Drake has been in the super hero game longer than most. But while reflecting on what he's accomplished over the years, he realizes that the legacy he's built is a few good one-liners and a string of failed relationships. Not only that, but now a younger version of himself has emerged from the timestream and he's more put together than Bobby ever was: already a world-class hero in his own right, but also totally comfortable in his own skin, complete with a relationship with a handsome Inhuman to boot. 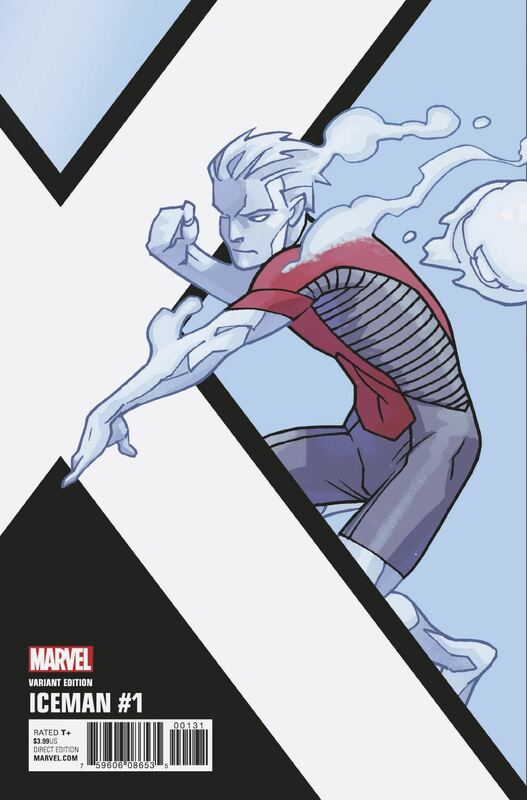 In this new ongoing series penned by Sina Grace (Burn the Orphanage, Self-Obsessed) and drawn by Alessandro Vitti (SECRET WARRIORS), Bobby realizes that the time is never or now, and sets out to build a life and legacy he can be proud of...and be the best ICEMAN he can be!